A Ryanair passenger broke his ankle when he attempted to protect his child during a sudden change in the altitude of the plane. The pilot of the flight made the drastic maneuver in order to avoid a potential collision with another aircraft in the vicinity. 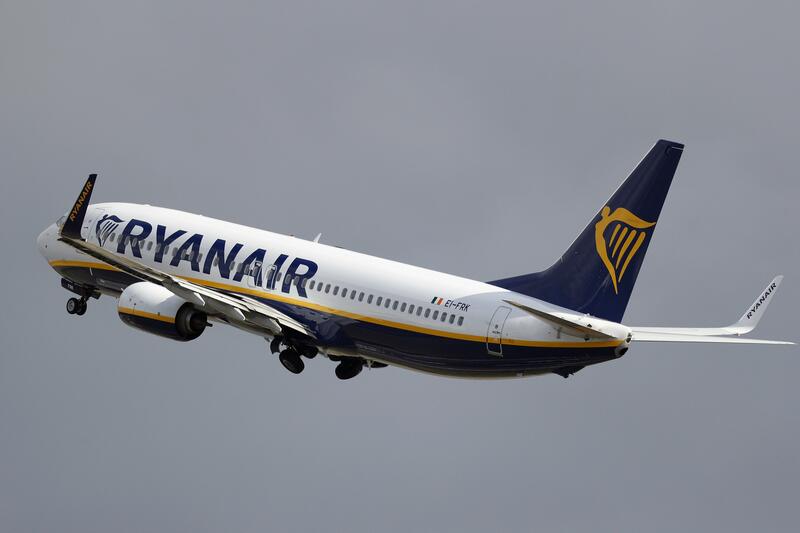 The incident took place Sunday when Ryanair Flight 737 was flying on autopilot at the altitude of 37,000 feet over Canary Islands, Spain, at 4:38 p.m. local time (11:38 a.m. EST). Although the plane initially did not face any objection from the air traffic control room when the pilot requested to descend to 13,000 feet, the air crew was told to stop their descent after dropping just 1,000 feet from their previous altitude. The reason behind the sudden change in instruction was an EasyJet flight that was flying at 35,000 feet near the area. When the pilot was questioned as part of the investigation, he said the recovery maneuver was taking more time than expected on autopilot and since he thought “they had gone past their cleared flight level of FL360,” he decided to take things into his own hands and stop the descent manually. “The investigation has determined that the accident probably occurred when the crew executed a sudden manual maneuver to maintain the specified flight level,” the report added. “A contributing factor is the fact that the autopilot was disengaged in order to carry out the manual maneuver, which contributed to its abrupt nature." Due to the sudden change in direction without any warning, the aircraft lurched, causing flight attendants as well as passengers who were standing in the cabin to tumble to the ground. This included the passenger who broke his ankle. "The injured passenger had a child, approximately five years old, in his arms and that he was exiting the right hand lavatory. These sudden movements caused all four flight attendants to fall to the floor. The injured passenger turned his body to the left to try to shield the child, which forced his legs into an unnatural position. He broke his ankle when he fell due to the jolts,” an unidentified flight attendant who was present on the flight, said. “The child hit the back of his head, which caused some bruising. No one else was injured. After the event, the injured passengers cried out in pain. Their relatives were also upset and raised their voices at the flight attendants, complaining about what had happened,” the attendant added.